Cookie loves eating fruit (and everything else). She would literally salivate (saliva will first build up around her lower chin before dripping onto the floor) when she sees me eating apple or pear. Her love for fruits was cultivated since young. 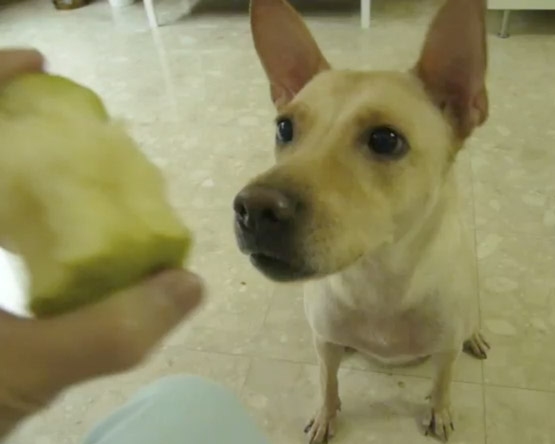 See the how Cookie learn to enjoy an apple when she was still a puppy - click here (and scroll down). She would do anything for a bite of the fruit. In the video, I asked her to 敬礼 (jing1 li3), meaning pay respect.